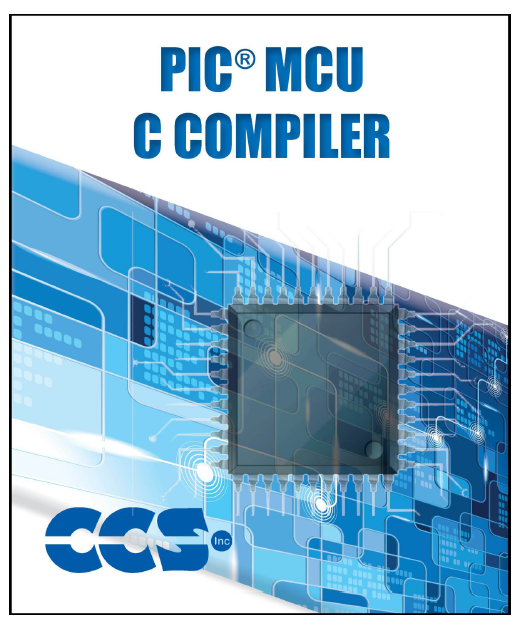 This post shows how to interface LCD screen (16x2, 20x'4 ....) with PIC24FJ64GB002 microcontroller where the compiler used is CCS C.
The PIC24FJ64GB002 is a 16-bit microcontroller runs with 3.3V while is the LCD used in this example is 5V. The PIC24FJ64GB002 has some 5.5V tolerant input pins (RB5, RB7, RB8, RB9, RB10 and RB11), with this pins we can apply 5V to the microcontroller without any problem. In this project I used a serial-in parallel-out shift register to minimize number of pins used by the LCD because we don't have enough 5.5V tolerant input pins to connect another 5V device. With the shift register the LCD will use only 3 pins which means we've gained at least 3 pins. 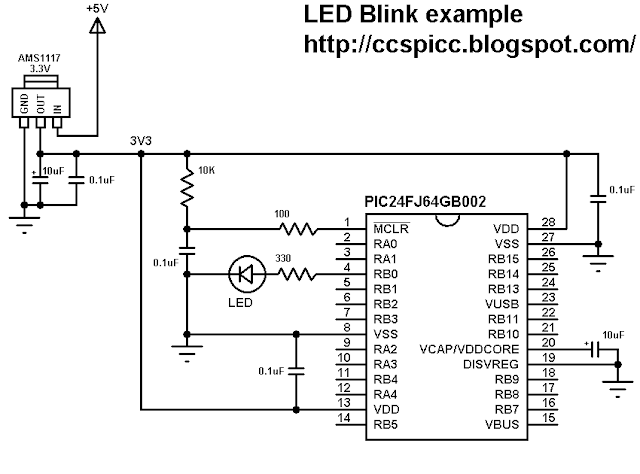 This small post shows how to simply blink an LED using PIC24FJ64GB002 16-bit microcontroller and CCS C compiler. The PIC24FJ64GB002 microcontroller works with 3.3V only and supply it we need a 3.3V source or a 5V source and AMS1117 3V3 voltage regulator. The LED is connected to pin RB0 through 330 ohm resistor. In this example the PIC24FJ64GB002 microcontroller runs with its internal oscillator. 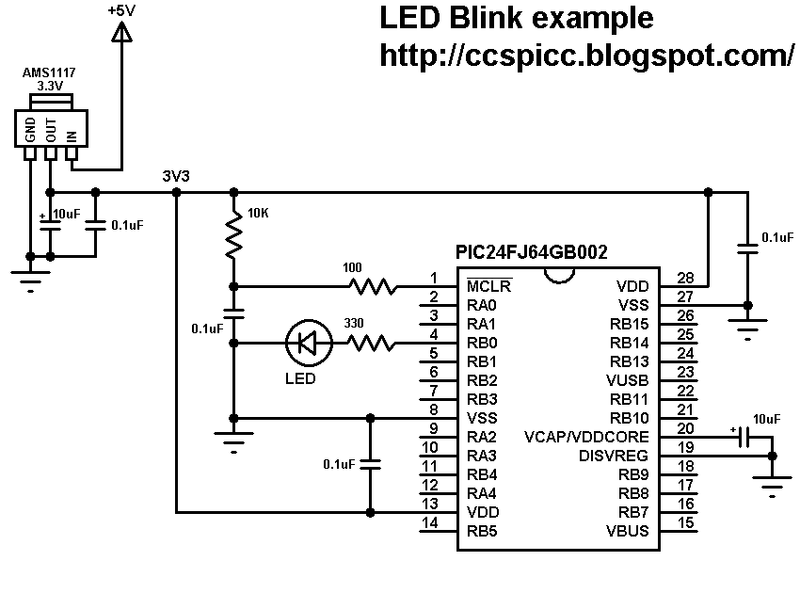 In this example the LED blinks with a frequency of 1Hz (500ms ON and 500ms OFF ==> period = 1s). This topic shows how to make a simple distance meter using PIC16F887 microcontroller and HC-SR04 ultrasonic sensor. 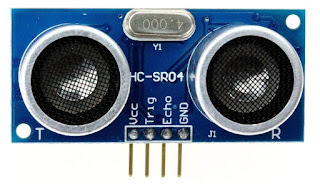 The HC-SR04 ultrasonic sensor can measure distances form 2cm to 400cm with an accuracy of 3mm. This sensor module includes ultrasonic transmitter, ultrasonic receiver and control circuit. the range = high level time * sound velocity (340M/S) / 2. In this project the PIC16F887 MCU runs with its internal oscillator and MCLR pin function is disabled. The PIC16F887 runs with its internal oscillator @ 8MHz. First of all the MCU sends a pulse of 10 us to the sensor via pin RB1 which is the trigger pin of the sensor, then the MCU waits until the sensor raises its Echo pin (function wait_sensor() ). 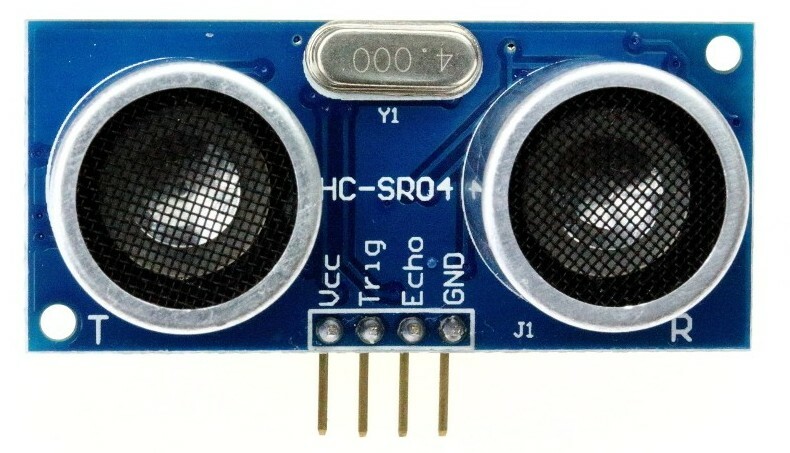 If the waiting time is higher than 990 us ==> time out and the function wait_sensor() returns 0.
if the function wait_sensor() returned 1, the microcontroller starts measuring the width of the Echo pin pulse (in us) using the function get_distance(), if the time > 24990 (distance > 400 cm) ==> out of range, otherwise the measured time will be converted to distance (in cm) by dividing it by 58. No interrupt is used in this example. 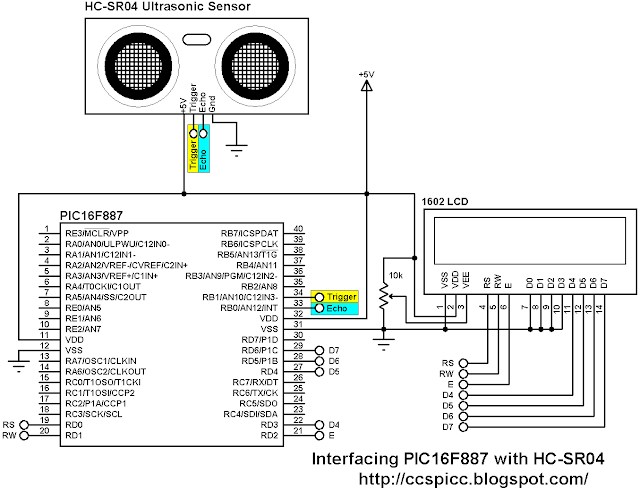 Distance meter using HC-SR04 ultrasonic sensor and PIC16F887 CCS C code. Echo and trigger pins of the HC-SR04 are connected to RB0 and RB1 respectively. This small project shows how to make a simple wave audio player using PIC16F887 microcontroller and SD card. The WAV audio file used in this project is 8000 Hz, 8-bit stereo (2 channels). 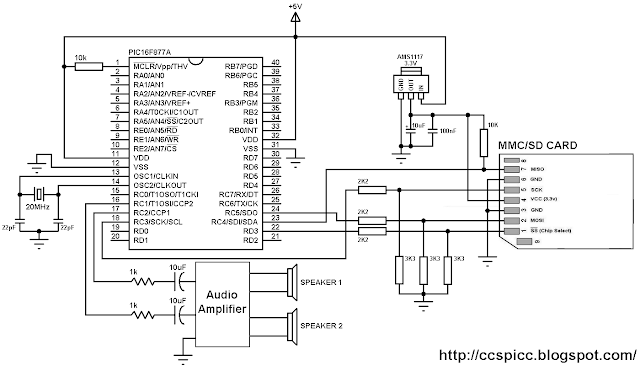 The microcontroller generates audio using PWM technique, if the wave audio file is mono (1 channel) the microcontroller will generate only 1 PWM signal (PWM1) and hence we will hear the sound from 1 speaker only. If the wave audio file is stereo both speakers will give sound. In this project the PIC16F887 runs with 20MHz crystal oscillator which is the maximum speed of this microcontroller, MCLR pin function is disabled. The C code below was tested with CCS C compiler versions 5.051. I tested this project with FAT32 8 GB and FAT16 2 GB micro-SD cards. The name of the wave audio file which I used was mywav (mywav.wav with the extension), its sample rate is 8000 Hz with 2 channels (stereo). First of all I initialized the SD card using the function: sdcard_init(); this function return 0 if the initialization was OK and non-zero if there was an error. After the initialization of the SD card I initialized the FAT file system using the function fat_init(); and then I opened the wave audio file with the pre-selected name mywav.wav, all the three previous function returns 0 if OK and no-zero if error. where the variable address_pointer belongs to the FAT library, this variable allows me to know the starting address of the wave audio file. If the wave file is mono ==> channel_count =1 and if it is stereo ==> channel_count = 2. I set the data buffer to 16 so each time the microcontroller reads 32 bytes from the SD card. The data buffer can be less or higher than 16. The function fat_read_data(16, data) keeps reading file data from the SD card until it returns 1 which means end of the wave file is reached. PWM_Frequency = Fosc/[(PR2 + 1)*4*TMR2_Prescaler] = 20*10^6/[(63 + 1)*4*1] = 78.125 KHz. the PWM duty cycles have to be updated every 125 us ( = 1/8000Hz), for that I used Timer1 to make the MCU waits for 125 us. In this example I didn't use Timer1 interrupt. where sample rate = 18000 and Fosc = 20 * 10^6 . In this example I used the value 500 instead of 625 because I got a slow audio streaming (i.e: some instructions are spent on loops). 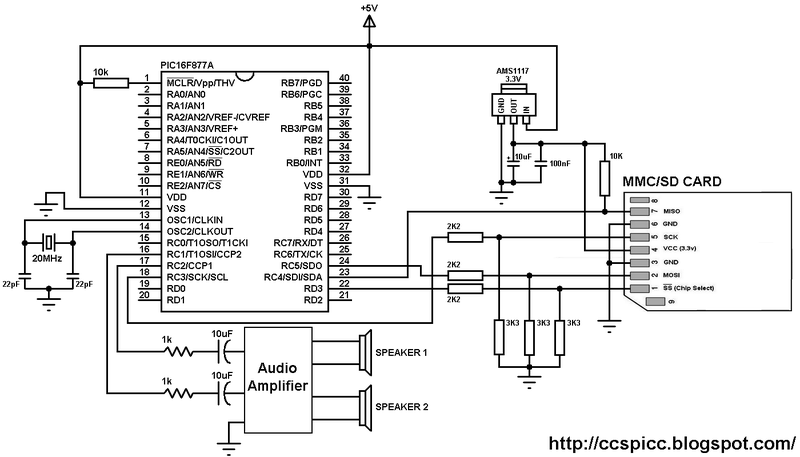 WAV Audio Player using PIC16F887 microcontroller and SD card CCS C code. This post shows how did I made a simple wave audio player using PIC16F877A microcontroller where the wave audio file is stored in 8 GB micro SD card. The wave file which I used was 8000 Hz, 8-bit stereo (2 channels), I convert it from MP3 format to WAV format using a free and open source software named audacity (site: http://www.audacityteam.org/). 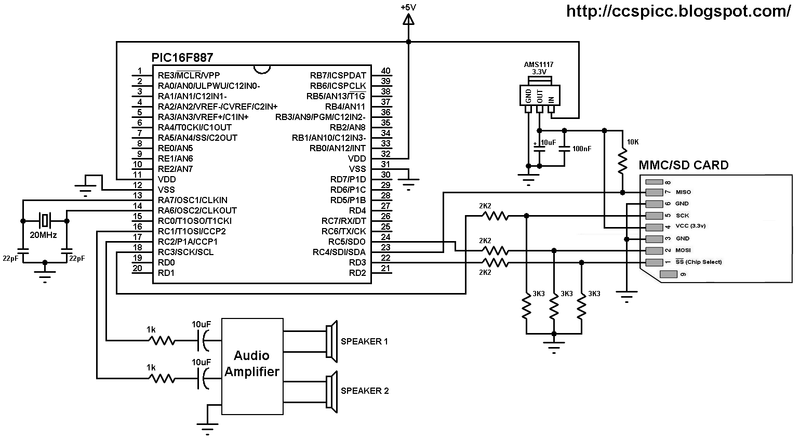 WAV Player using PIC16F877A microcontroller and SD card CCS C code. PIC12F1822 is a small microcontroller has only 8 pins which is not enough for building a real time clock using DS3231 with set buttons because the DS3231 needs 2 pins and the LCD screen needs 3 pins, therefore I've only 1 free pin. I connected that pin to an IR receiver and I used a remote control with a lot of buttons where I used only 3 buttons and the problem solved. 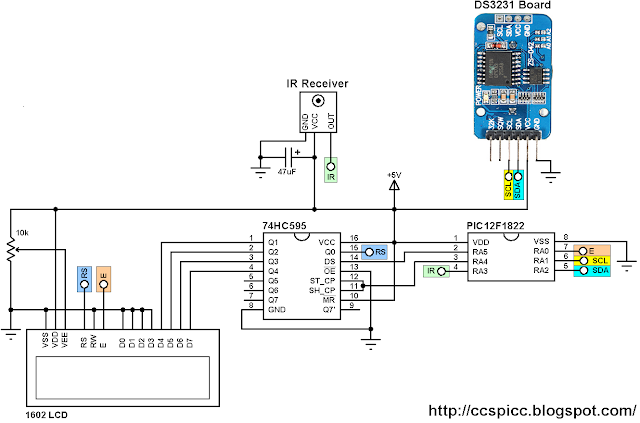 This post shows how did I build a simple real time clock using PIC12F1822, 1602 LCD and DS3231 with Car MP3 IR remote control (NEC protocol RC). The DS3231 uses I2C protocol to interface with the master device which is in our example the PIC12F1822 MCU which has one I2C module. The I2C protocol uses only two lines: SCL (Serial Clock) and SDA (Serial Data) which are in the PIC12F1822 pin RA1 and pin RA2 respectively. The IR receiver has 3 pins: GND, VCC and OUT. Pin OUT is connected to pin RA3 of the PIC12F1822. The LCD screen with the 74HC595 shift register are connected to pins: RA0 (Enable), RA4 (Data) and RA5 (Clock). The DS3231 board SCL and SDA are connected to pins RA1 and RA2 respectively. 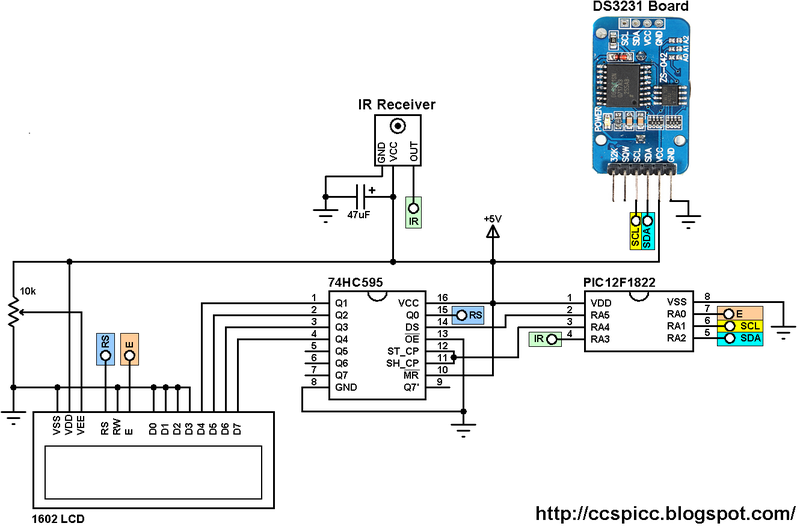 In this project the PIC12F1822 uses its internal oscillator and MCLR pin is configured as a digital pin. Each function returns the converted value of the variable number. void DS3231_display() : displays time and calendar data, before displaying time and calendar data are converted from BCD format to decimal format using the function bcd_to_decimal(number) . After the edit of time and calendar, the data have to be converted back to BCD format using the function decimal_to_bcd(number) and written back to the DS3231. void blink() : this small function works as a delay except that it is interrupted by the IR remote control codes for buttons 1, 2 and 3. 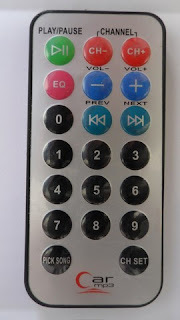 When called and without pressing any of the three button the total time is 10 x 25ms = 250ms. With this function we can see the blinking of the selected parameter with a frequency of 2Hz. So a delay of 250ms comes after the print of the selected parameter and after that delay a 2 spaces is printed which makes the parameter disappears from the LCD and another 250ms delay comes after the print of the 2 spaces. 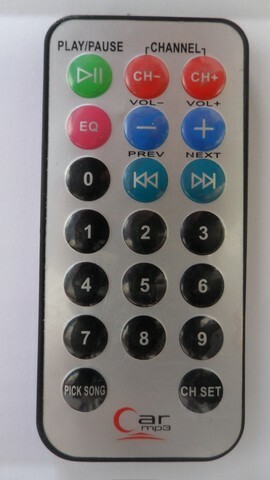 I used only 3 buttons where button 1 selects the parameter which we want to set (hours, minutes, date, month or year). Button 2 increments the selected parameter and button 3 decrements it. The rest of buttons have no effect on the circuit.